During the second world war the fighting that Corporal Bob Roberts, of the Canadian North Shore New Brunswick Regiment, experienced was fierce in Calais, France. Allied troops were trying to stop the Germans shelling Dover, England from five gun emplacements. Eventually the Germans' surrendered and gradually they laid down their weapons. Mr Roberts remembers the action and also how he and his comrades captured Jacob Nacken, who was the tallest man in the German army at 7ft 6in. Bob Roberts was given the job of frisking Nacken and this brought a lighter moment at the end of such fierce fighting - Bob is only 5ft 3" and even the captured Germans' sniggered and laughed as he frisked the 7ft 6in man. Bob Roberts, who now lives in Bournemouth, England, is 87 years old - he married an English girl - and often wondered whatever happened to the giant soldier. He never even new his name. Moving forward 65 years and amateur historian, Rob Smith, sets out to try and trace his mother's Canadian wartime sweetheart. 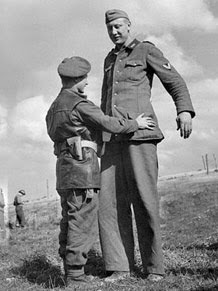 In doing so he comes across the bizarre photo of the diminutive soldier frisking an extremely tall German in some obscure archive. By coincidence the man he was trying to trace was in the same Canadian regiment as Corporal Bob Roberts. He then found out, by a further coincidence, that Bob lived just a mile away from his mother in England. Bob was contacted and sent a copy of the photo. The mystery of the 7ft 6in soldier he met in the war was solved. He said, "I couldn't believe it when I received the photo after all these years. It took me back to a moment of light heartedness so soon after I had been a blink of an eye from death." He added, "I never knew his name, only that he was a lance corporal. He spoke very good English ... it's quite incredible that after all these years I have found out who this guy was." think ive seen this before. its a good story about the war. I arrived here from your Squidoo lens. Some very interesting posts. Hope to be back again. Do you update every day? 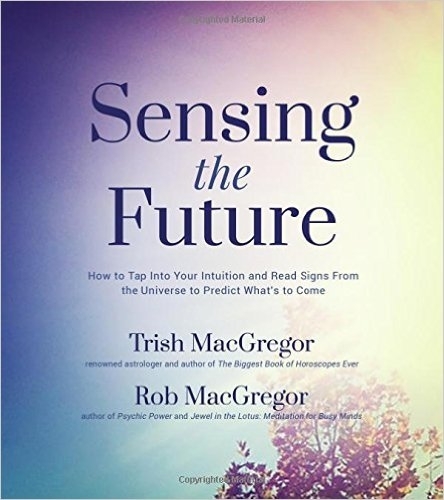 It amazes me how these sort of happenings occur and after such a long period. These type of stories are my favorites! Library and Archives Canada notes that the identity of the Canadian in the photo is Private J.W. Butler. The soldier in the photo is not wearing any rank insignia. It was not unusual for soldiers in action to remove rank insignia, so it's not an ironclad proof of anything, and the LAC website has more than a few errors in the captions - just wondering who Private Butler is, and if it is possible that is actually him in the photo, as the caption suggests.